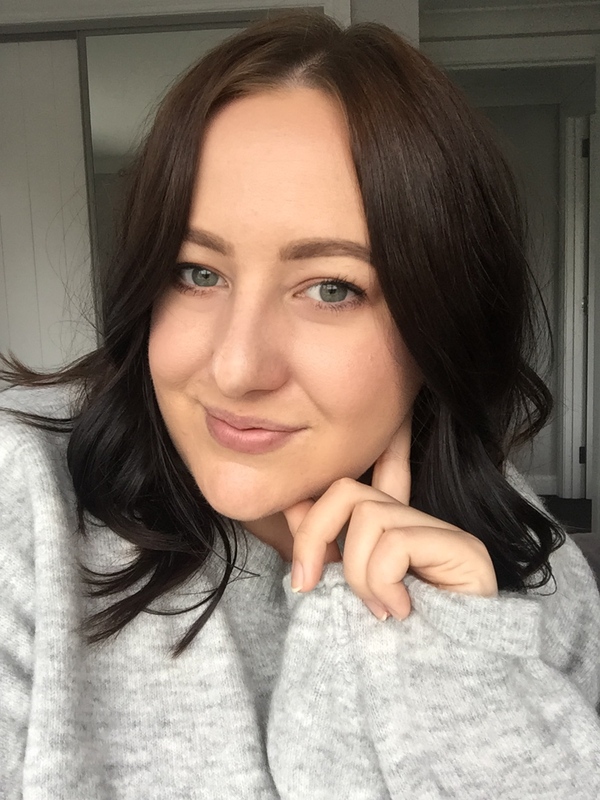 When I did my latest MAC order that contained items from the Kelly + Sharon Osbourne Collection, I also added this little beauty of a lipstick to the order. I was initially drawn in by the packaging (which happens to me all the time), but the colour is equally as beautiful as its housing. 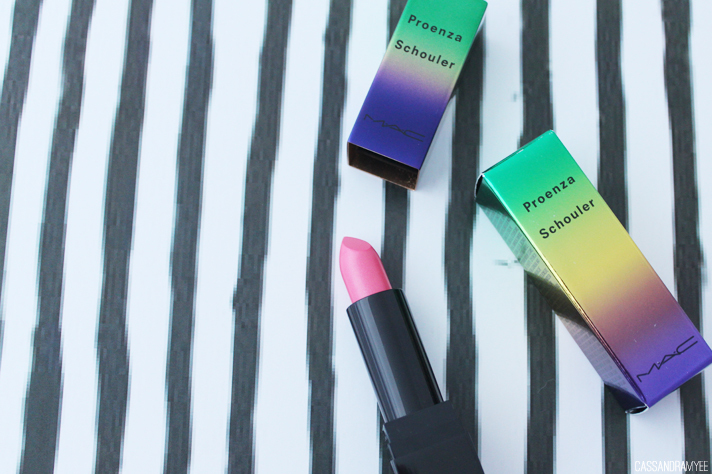 The lipstick in question is from the Proenza Schouler collection that was released for Summer 2014 in the US, and then came out in May here in NZ. I was surprised to find that they were even still available on the MAC US website and I am damn happy I got my hands on one of them. 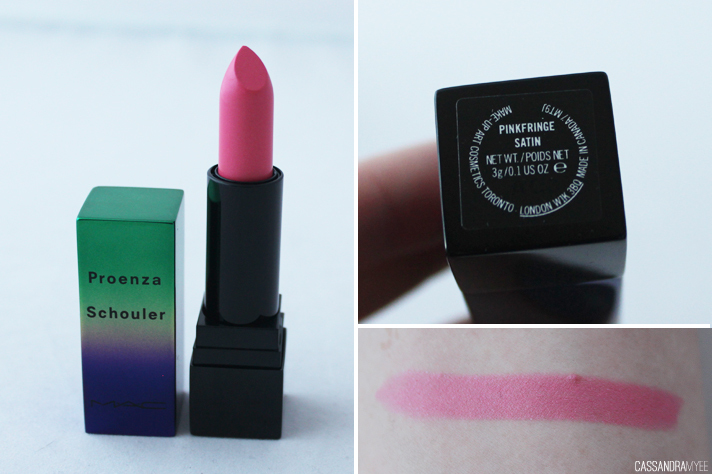 This lipstick seems like a bit of different one from MAC in terms of the packaging and is why it jumped out at me. The lipstick tube feels almost like metal; it's heavy and has that luxurious, expensive feel about it. But the shiny, colourful exterior has nothing on the amazing lipstick colour inside. Out of the three from this collection, I naturally gravitated straight to the bright pink in the shade Pinkfringe described as a vivid flamingo pink, that has an almost neon quality to it that just doesn't seem to want to translate on camera! It is a Satin finish which I love as they stick around much longer than the cremesheen's and aren't as drying as the mattes. It goes on smooth and pigmented on one swipe to the lips, leaving bright and bold colour. Pinkfringe ticks all the right boxes for me and totally wins on the packaging front! They are still available on the US MAC site here and are USD $22.00 each [around NZD $25.00]. I used YouShop to get it to me and my overall parcel including the Osbourne items was only $22. 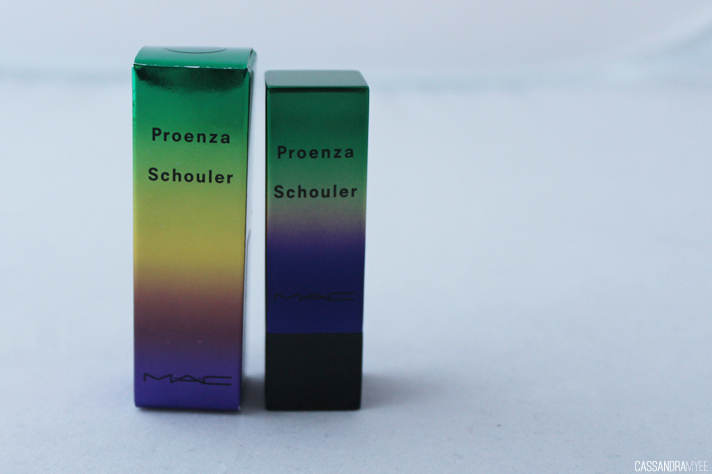 Did you get items from the Proenza Schouler collection? Don't forget to enter my international giveaway!